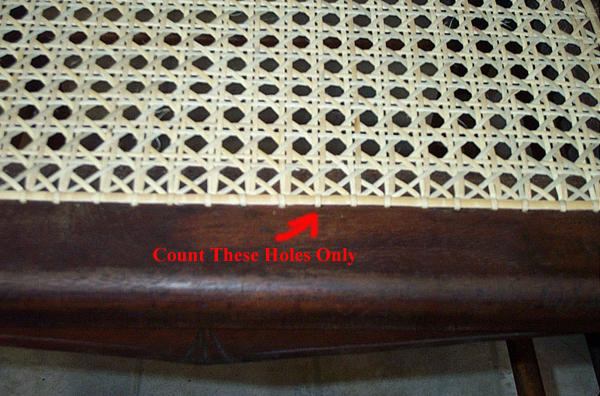 We offer a wide range of services from Fine Antique Restoration, to Hand and Press Caning. Our refinishing process starts with the hand stripping of your piece, taking the utmost care to maintain its original integrity. After the piece has dried any defects, dents, and damage is repaired. Once that is done your piece is sanded by hand to smooth every surface. It is then stained, if you choose, or sealed natural. Once the stain dries, it is sprayed with a lacquer sealer. Once the sealer dries, your piece is sanded with our finest paper to a smooth as glass texture. Finally it is sprayed with a lacquer, water resistant, finish to the sheen you desire. Final working time ranges greatly from piece to piece, but usually averages one week from stripping to completion. If you would like to submit a request for an estimate please click here. Our hand caning process starts with the removal of your old, dry-rotted cane. We then determine the correct cane size and weave, by hand, each individual strand. Working time is about a week, and all cane can be left natural or stained at your request. Use the tool below to calculate the cost of your chair. 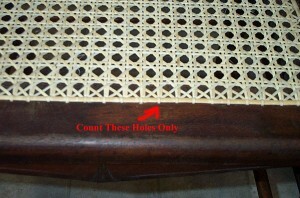 A ‘hole’ is considered the hole in the actual wooden frame of the seat that the cane is woven through. All cost on this website are for natural cane only, stain and finish will be added if you choose to have that done. 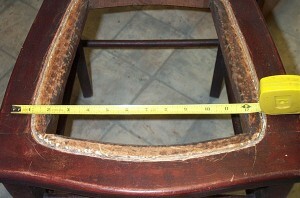 Our press caning process starts with the removal of the old spline from the groove in the chair. The groove is then cleaned of all old cane. We then replace the cane and spline, and stain and finish to match if you request. Use the tool below to calculate cost. All costs on this website are without stains and finish, these will be added if you choose to have them done.